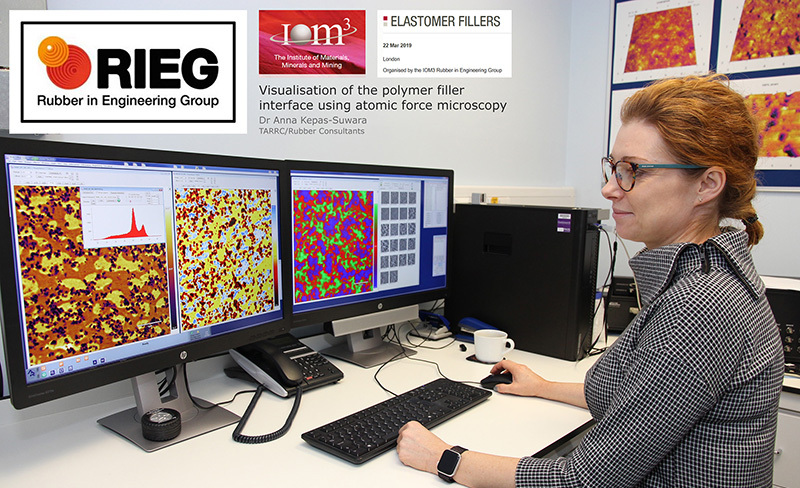 On Friday 22nd March 2019 TARRC's Dr Anna Kepas Suwara presented a paper on 'Visualisation of the polymer filler interface using atomic force microscopy' at the Rubber in Engineering Group meeting titled Elastomer Fillers at the IOM3. This afternoon technical discussion meeting (ATDM) had four presenters and examined the development of new advanced fillers with functionalised surfaces that can interact with the polymer network in the elastomer. 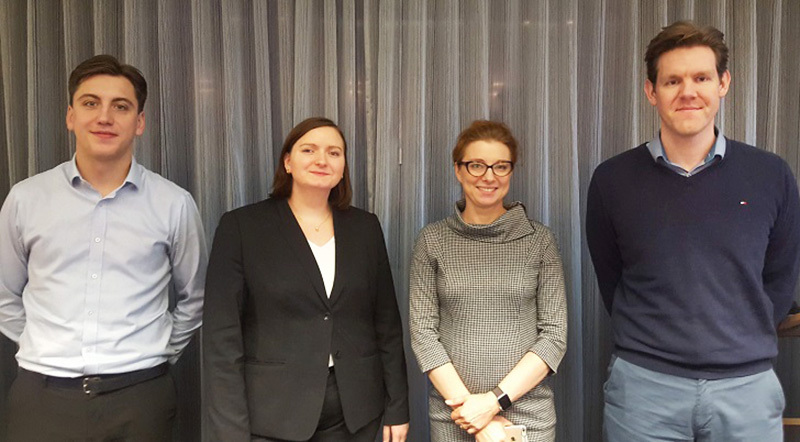 Left to right: Michael King (Haydale), Melanie Meyer Behn Meyer), Dr Anna Kępas-Suwara (TARRC) and Lewis Tunnicliffe (Birla Carbon). The next RIEG afternoon technical discussion meeting (ATDM) is on Elastomers in Sport on Friday 28th June 2019. It will examine how elastomer materials can be effectively utilisied in sporting applications. If you are interested in presenting at this event then please contact Dr Matthew Thornton. 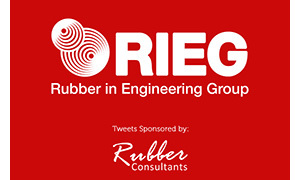 Rubber Consultants is now also sponsoring the RIEG Twitter account.